Created, developed and produced in Italy. After having Cooled the gel pad in the freezer or fridge according to personal tolerance, apply on the wrist in order to obtain all the refreshing relief and benefit. Applications can be made several times a day. 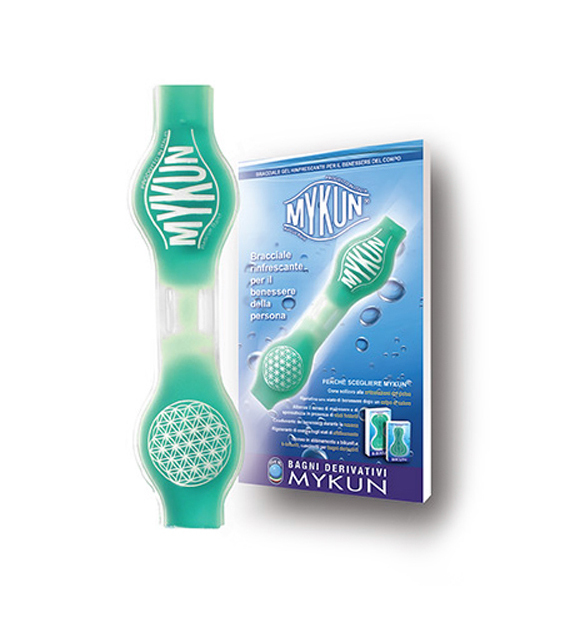 Mykun is a refreshing gel bracelet which gives a pleasant freshness and provides a valuable and useful help in many situations. In all cases of fever it is necessary to use an ice pouch. Quite often this simple intervention allows the temperature to lower, provides a soothing feeling, diminishing the effects of the fever itself. The sponge or the use of Mykun on the body , specifically on the wrists, or the application of Bikun, can be a suitable help to reduce temperature. Tendons swelling caused by wrong movements or extreme athletic activity, produces an increase of blood flow , causing pain and movement reduction. An effective solution is to reduce wrist movement to a resting position and apply Mykun during 10-15 minutes, it can also be applied for longer periods of time. Rapid temperature increase of the body produces the so called “heatstroke”; the body reduces sweating as well as external thermal exchange. An effective solution is to apply cold water with a sponge or to use Mykun. In these circumstances, a Mykun and Bikun combination makes the accumulated heat dispersion more effective and immediate. Nausea is a typical ailment during pregnancy, its symptoms are not serious but they can be difficult to cope with and they can strain the mother to be. A possible solution can be to pour cold water on the wrists. Another alternative is to apply Mykun after having cooled it in the freezer or fridge for about 60 minutes, depending personal tolerance. Cool the gel pad down for at least 60 minutes in the freezer. Subsequently, apply to groin areas in order to obtain to obtain relief and the benefits of a detox bath. Several daily applications can be made while resting or relaxing, too. External coating: anatomical pad completely ascetic and hypoallergenic, with a high mechanical resistance to continual rubbing, high frequency welded and stuffed with about 50 grams of viscous gel. Suitable for men and women, MyKun bracelet has to be applied according to the indications described above and should not be applied for a different purpose from the one that has been indicated. 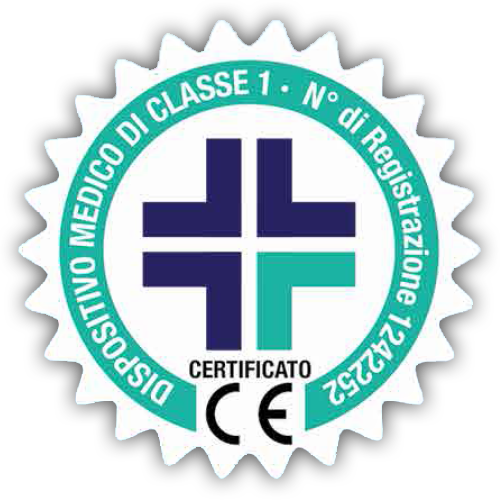 The product is certified by Italian Health Ministry as a medical device, type 1 – registration number 1269622.